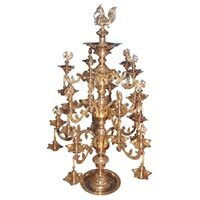 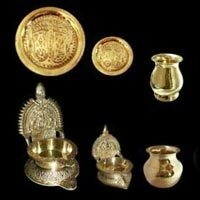 We manufacture and export a qualitative variety of Pooja Articles. 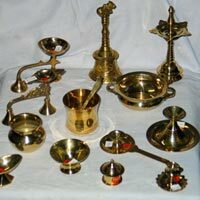 These Pooja Articles are made using premium raw materials, to ensure better quality and longer life. 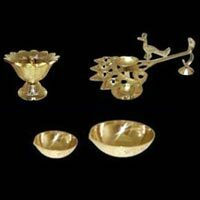 Our collection of Pooja Articles comprises Batti Diya, Plain Diya, Incense Stick Holder, Pooja Set, Pooja Thali, and Thali Lota. 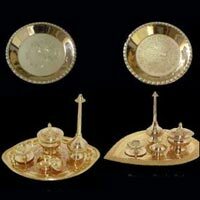 The Pooja Articles provided by us are intricately designed by our experienced designers. 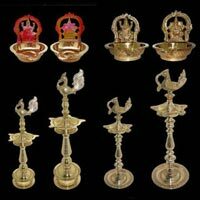 We offer this exclusive range of Pooja Articles in various shapes and sizes, at very affordable rates in the market.